The health of your heart is much too important to ignore, so knowing exactly what to do when you experience chest pain while exercising could prove to be life-saving. So what should you do? Let’s say you are jogging, and you begin to feel a tightening or constriction in your chest. Even though you may not be experiencing a symptom of a dangerous heart condition, you should stop jogging immediately. 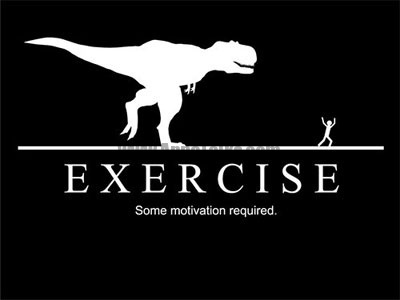 The same applies to lifting weights, cycling or performing body weight exercises. Your specific activity does not matter, only that you stop exerting yourself physically if you experience chest pains of any kind. If possible, find somewhere calm and comfortable to relax. Allow your breathing return to normal. If your chest pain goes away, that could or could not be a good sign. Whatever physical activity you were performing may have caused some pain in your chest muscles. On the other hand, you could have been overstressing your heart, and when you stop working out or exercising, your heart rate returned to normal and the pain disappeared. So, how do you tell if the pain you are feeling in your chest is a sign of heart problems or just muscle soreness? The truth is, it can be very difficult to differentiate those two issues. You should remember that almost all heart attacks start slowly. You will first feel a very low level of discomfort. You may feel a little pressure or squeezing, or of feeling that you are “full” right in the middle of your chest. It is not uncommon for this pain to come and go, but you should definitely seek medical attention if this experience continues for more than a few minutes after you stop exercising. Chest Pains With Breathing Problems. If an unnatural lack of breath accompanies your chest pains while you are physically active, this is a classic sign that a heart attack may be on the way. The key here is understanding the natural breathing patterns you display during physical activity. If your breathing is more difficult than usual while you are exercising or working out, and chest pains are present, you should consult a doctor immediately. Chest Pains and Dizziness. Sometimes merely bending over and rising too quickly can cause you to feel lightheaded. However, if you experience dizziness and chest pains at the same time, especially when you are exerting yourself physically, you should stop exercising immediately. Dizziness can lead to a physical injury when you are working out because it throws your balance off. This is also a sign that you may be experiencing a serious heart problem. 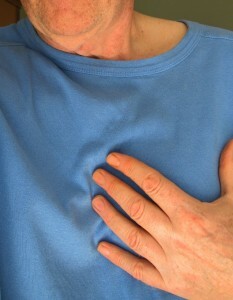 Chest Pains Plus Discomfort in Other Parts of Your Body. Physical discomfort while exercising is common. You probably know how different parts of your body feel when you are working out. One thing to look out for when you are physically active is if chest pains are accompanied by discomfort or pressure in your arms, jaw, back, neck or stomach. This combination can predict the onset of a heart attack or cardiovascular condition. In all cases, 100% of the time, if you feel pain in your chest while exercising or working out, stop what you are doing immediately. Listen to your body. It will send you signals that something is wrong. This may be in the form of mild discomfort from muscle pain, or it could be delivering a red alert that you need immediate medical attention. If you are uncertain whether your chest pain while exercising is a sign of physical or cardiac stress, don’t take the risk of ignoring the pain. Seek medical attention immediately if you have the slightest idea that your chest pain may be the sign of something other than physical stress.